I can't remember a time when I wasn't reading. I've always been a book fan be it The Nancy Drew Files or the Babysitter's Club. It was my big sister who introduced me to the world of books. She read constantly, but her passion ran more towards Sweet Valley High and Fear Street. I was somewhat of a 'scared-y-cat' when I was little so I read the Goosebumps series with trepidation. The Nancy Drew Files on the other hand were my constant passion. I recall even now how thrilled I would be over the ups and downs between Ned and Nancy's relationship, and the series overlapping with the Hardy Boys (I'm a little hazy on the names). 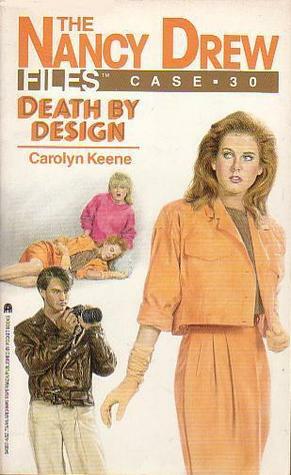 I used to LOVE Nancy Drew and from her books my interest in mystery and detective novels grew. That's when I moved on to Agatha Christie. My mother had read her in her childhood and showed me the best among Agatha Christie's novels. I remember buying Murder on the Orient Express from an old book store in Rancho Cucamonga ( I was terrified of the cats in the shop!). Inevitably, I went through all her books and now I miss the suspense of 'everybody has a motive' in her books. As I grew older, I remember sneaking in to my sister's collection of books and opening them at random snatching at whatever I could. It was in this way that I began Gone With the Wind. 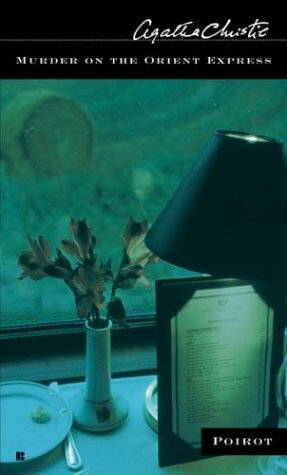 I used to wake up early in the morning, when everyone was still in bed, and read by the light from the window. I was absolutely obsessed and could not put it down until it was finished. I re-read the book many times and it is now worn with age, but my sister and I wouldn't sell it for the world. That's how I like books: with a history behind them. My sister tells me the story of how she brought it at a library sale in Upland after she had heard her English teacher mention it. It was around this time, when I was twelve years old, that my sister recommended I read Anne of Green Gables. My sister had a great English teacher who kept a huge collection of books and from whom she borrowed. Because of her, I picked up books like An Old Fashioned Girl, and Anne of Green Gables. It is here that I found my true niche. I have never been able to find a replacement for L. M. Montgomery. It's something all book lovers have to go through: the point when you've read all the books by your favorite author. Once you've started reading, you're hooked for life. My next venture into great 'bookdom' was with The Clan of the Cave Bear. It is a book I can never forget. The idea that a book about the prehistoric era can actually be interesting was astonishing to me. I was in the phase when romance and fantasy were the only things that appealed to me (still am! ), and then to open a book that had no romance and nothing in familiar with my surroundings was amazing in itself. But the book managed to be interesting even without romance! The smallest details in the book were eye catching. I remember being fascinated by Ayla's quick and responsive brain when her mentor Creb was teaching her to count. The gap between the two civilizations is shown so well. A couple of years ago, someone recommended I read Rebecca by Daphne du Maurier. I fell in love with her; started reading more; have never stopped. When I read The King's General, I knew I had discovered another great book. The story never fails to move me. Each time I read it, it just gets better. The unconventional romance appealed to the romance lover in me (as did the civil war setting!) but the writing style was something else. My first taste of Daphne was with Rebecca, and I was instantly sucked in to the peculiar Daphne world of Manderley!The suspense, the eerie atmosphere is a part of the Daphne du Maurier package and she never fails to satisfy. Well, what else? I've been reading books all my life and the above mentioned books are just a small part of my entire reading. 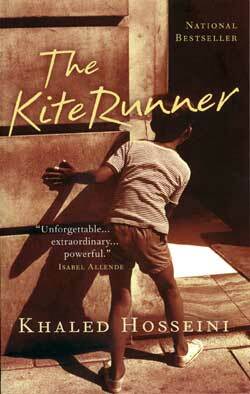 In recent years, I've enjoyed The Kite Runner by Khaled Hosseini. The tackling of social issues is always moving. Being a romance fiction enthusiast, I'm not such a great fan of social novels, but The Kite Runner is really an eye opener into the Afghani society and of human weaknesses in general. It's an emotional book and one that I cried a lot over. I would recommend it to all book lovers, especially those interested in reading about different cultures. I can't talk about all the books I've read. That would take too long and I doubt anyone could read the whole post. But for all those first time readers out there who want a good recommendation, any and all of these books would be a great first read. The world of books is a great one, and until you've found your greatest book, just keep on reading!